Footscray is a suburb of Melbourne located 5 kilometers west of the CBD of Melbourne. Well known for its cultural diversity Footscray is well known for its shopping area, which features many Italian, Yugoslavian and Vietnamese stores. Footscray is an ideal example of the cultural diversity Melbourne is famous for. Once primarily an Italian and Yugoslavian district the area now has an increasing East African and Vietnamese population. 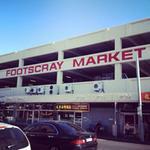 Footscray is famous for its large indoor market, located across from the Footscray train station. The 33 food stalls boast exotic produce such as pigs ears, lotus flowers and cassava root. Footscray Motor Inn 4 star motel suite accommodation, only 10 mins from the Melbourne CBD, ideal for the discerning business or leisure guest.